So the time is approaching and the stress and nerves increasing. The final week at work is up on me quicker than I had thought and there has still been so much to do with completion of work projects and Troskala projects. A new cost has arisen with a new mast being needed that we had not thought would need to be replaced but as it is an original and we had to have a new boom anyway it seemed wise to complete the lot at the same time and it is a much easier project. Unfortunately we had not calculated this cost and at £3,900 it has eaten some of our trip money, but there is little we can do at this point and to be honest I would rather spend the money now then have to do it in some remote island in the South Pacific. We have now decided to move Troskala to Chichester for the haul out; I really do not know what we had in mind going to Ipswich but it seemed a good idea at the time. At least going to Chichester means that we have most of our south coast journey ticked off by the time we are there which makes more sense and saves some days. The second benefit of Chichester is the fact that the same riggers (Holman Rigging) fitted Troskala’s rig 12 years ago and thus have kept all the measurements, which makes life easier. 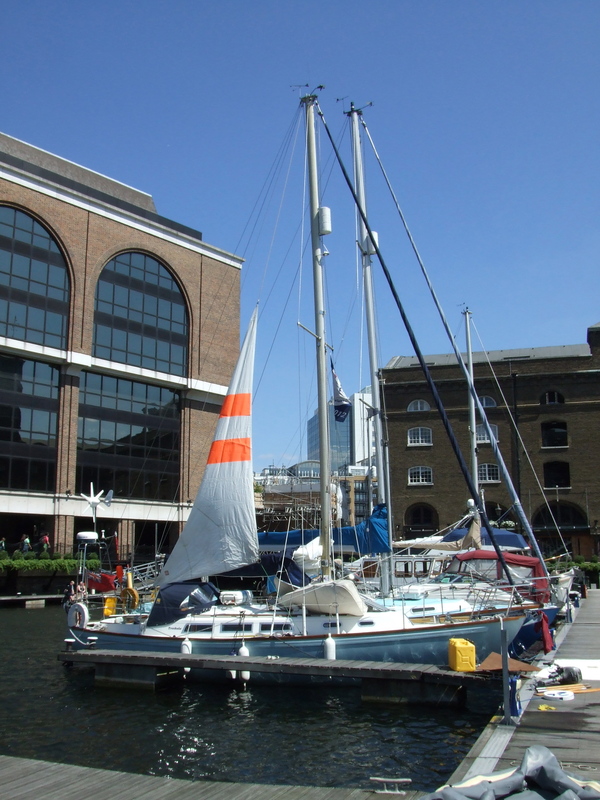 So our date to leave is the 24th July from St Katharine’s. My Dad has offered to crew for the journey down to Chichester so at least now I do not need to find anyone until we leave. On a final note, thank you to all friends, family and work colleagues that have supported our dream, we are nearly there.